Foot rockers provide effective stretching exercises that can help relieve discomfort & pain associated with conditions like Achilles tendinitis, ankle strain, plantar faciitis, arch pain and other chronic conditions (Medi-Dyne). These ankle & calf stretching devices are often used by athletes of all ages to help prevent and treat injuries. As well, many non-athletes discover that using these foot rockers can help them relieve foot pain. With consistent exercise one of those foot stretchers, your lower extremities and body as a whole becomes more resilient, enhancing your athletic performance. As you boost your muscle flexibility, this enhanced pliability means that you are less likely to incur muscle tears. The ProStretch Foot Rocker, which is our top pick, includes a handy exercise guide to help you work on your flexibility so that your tendons and muscles will actually begin to lengthen. Specifically, the exercises target your Plantar Fascia, Gastrocnemiusm Soleus & Achilles Tendon, Hamstrings and Anterior Tibialis. This improvement in the length of the gastroc/soleus calf muscles is often associated with enhanced stride length, which results in greater athletic performance. As well, improving your flexilibilty can even help reduce back pain, muscle cramps and other chronic, overuse injuries, most commonly: plantar fasciitis & Achilles tendonitis (Medi-Dyne). The ProStretch Foot rocker is designed to maximize your stretching range so that you get a strong & even stretch throughout your foot. It's locking heel allows you to secure it in place so that you can perform healing stretches. As well, its mid-foot gap enables you to perform ankle straightening exercises. It's constructed from anti-slipping, strong-grip rubber so that you don't slip while you're using it. An angled foot plate ensures a medically supportive angle for best foot and stretching alignment. Let's take a look at 5 of the best-selling foot rockers on the market and see if they can foot the bill. This foot rocker stretcher offered by Vive is versatile, easy-to-use and perfect for anyone with foot pain. Users love the lightweight design, but some do note that the hard plastic is uncomfortable on bare feet. This rocker bottom shoe provides an even stretch throughout the foot, and it has a raised back end to lock the heel in place, a mid-foot gap, an angled foot plate, and two non-slip rubber strips, so you don’t have to worry about slipping. Overall, this foot exerciser is a product of excellent quality, and it fits most shoe sizes. In general, users agree that the Vive foot rocker shoe is durable, efficient and useful for plantar fasciitis. 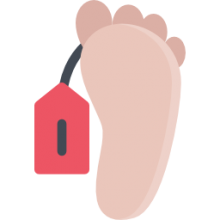 A buyer comments that this foot rocking shoe reduced the pain in his left foot and that he only needs to use it for a couple of minutes a day to feel the difference. Another reviewer mentions that he can watch his favorite show and stretch and rock his foot at the same time and that he is very impressed by the results. He would recommend it to anyone looking for the best foot rocker exerciser. However, some customers have complained that they don’t feel any difference after using the shoe rocket and that it’s uncomfortable to use it even with shoes on. Some users also note that it slips easily on the carpet. This foot rocket shoe offered by the North American Healthcare is sturdy, reliable and efficient, especially for dealing with plantar fasciitis. Users love the price, but some do note that it doesn’t fit all shoe sizes. 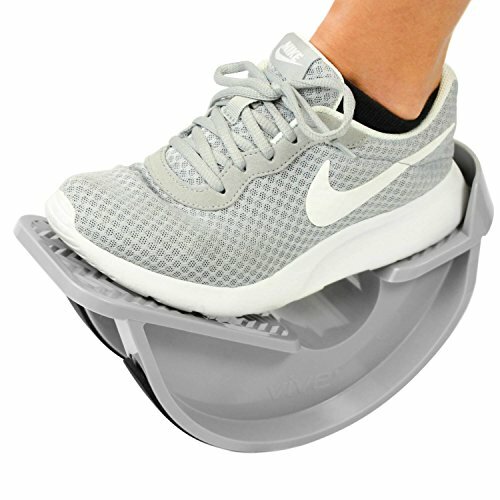 This foot exerciser is developed by professionals, and it measures 11” x 4” x 5.75” with a weight of 1.2 pounds. By following the three 30-second stretches you can achieve better flexibility and minimization of heel and leg discomfort. It’s also suitable for Achilles tendonitis, ankle strain, and arch pain and it could be an excellent choice for people with chronic conditions. Overall, users have a favorable opinion of the North American foot rocker, and they praise its design and durability. A buyer comments that this foot rocker deeply stretches the tendons in her legs and she really feels less pain and discomfort after she started using it. Another happy user mentions that she was skeptical of the benefits of the shoe rocker, but she began to feel better after only a couple of days. A satisfied purchaser also says that she wears size 15 shoes and that the rocker fits her foot perfectly. The reviewer adds that she has tremendously improved her flexibility and she highly recommends it. However, some customers have complained that it’s not very comfortable to use this rocket bottom shoe barefoot and that they don’t feel any stretching. Some also note that this using this rocket is as effective as using steps or walls to stretch your foot and that they don’t recommend it at all. 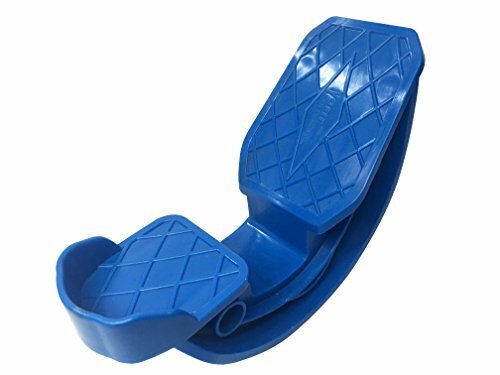 If you are looking for an inexpensive foot rocker, you might take a look at this blue shoe stretcher offered by Yofit. Users love the compact size, but some do note that it’s not as comfortable as they expected. 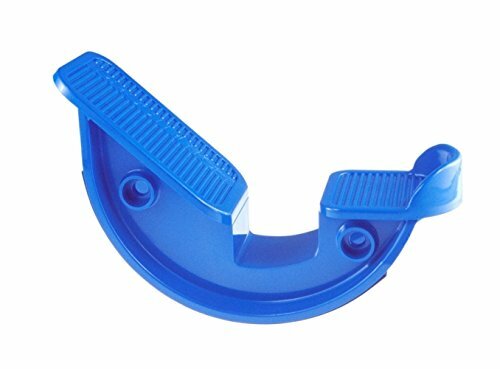 This foot exerciser measures 10.3” x 4.5” x 4”, and it has a weight of 5.2 ounces, a design that fits all shoe sizes, lightweight construction, a booklet with instructions, and two non-slip rubber strips to avoid slipping. You can use it to improve your stretch, balance, and flexibility or to relieve ankle strain, arch pain, and plantar fasciitis. As a whole, buyers are extremely pleased with the functionality and performance of the Yofit foot stretcher. 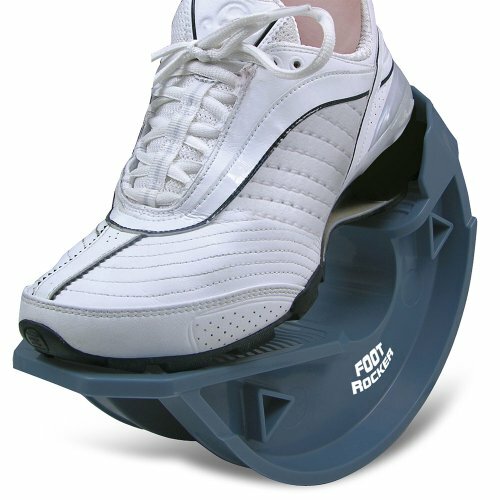 A user comments that foot rocker is soothing and it’s a great help for relaxing tight muscles. The reviewer also adds that this rocking shoe is easy-to-use and ideal for dealing or preventing plantar fasciitis. 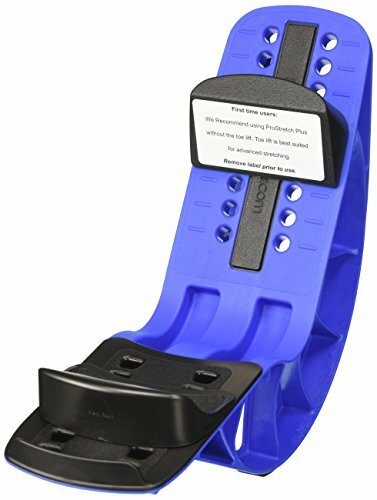 Another purchaser shares that this foot locker stretcher is amazing and that it enables him to stretch his calves deeply thanks to the useful exercises in the booklet. He highly recommends it to anyone looking for the best foot rocker. However, some customers have complained that the rocket stretcher hurt their feet no matter if they used it with shoes on or off. Some also note that the stretching exercises in the booklet could be better written. This unilateral foot rocker stretcher offered by Medi-Dyne is comfortable, sturdy, and a product of high quality. Users love that it’s effective and durable, but some do note this foot rocker doesn’t work as well as they expected. This foot rocker stretcher measures 12” x 4” x 6”, and it has a weight of 4.8 ounces, a mid-foot gap for ankle strengthening, plastic construction, rubbers strips and heel plate to prevent slipping, and one year warranty. You can use the rocker to not only increase your flexibility and motion in the lower leg but also to stretch your leg muscles, tendons, and ligaments. But be aware that it fits adult shoes up to size 13. A user comments that he has been using this shoe stretcher twice a day for a couple of months and he is really pleased with the results – his pain has diminished, and his calves’ muscles are relaxed and loose. Another buyer mentions that this rocker bottom shoe stretches his tendons efficiently and that it works far better than he expected. A happy purchaser states that it’s great for relaxing after a hard day of walking and that the bottom shoe stretcher is sturdy and doesn’t slip on the carpet. However, some customers have complained that they can achieve the same results doing regular stretching exercises and that it’s useless to them. Some also note that they don’t feel any relief after using it. If you are looking for one of the best foot rocker shoes, you might want to take a look at this foot stretcher offered by Medi-Dyne. Users love that it’s adjustable, but some do note that the quality is not what they expected. This foot rocker stretcher measures 14.2 x 4.5 x 6.8 inches, and it has a weight of 1.2 pounds, an adjustable heel rest, a removable toe lift, a large continuous platform and light construction. The package also includes a detailed stretching guide and access to the ProStretch online video stretching library. Overall, customers have a very high opinion of the ProStretch foot bottom shoe, and they praise its effectiveness and performance. A buyer comments that he uses the foot shoe rocker regularly and that it’s perfect for stretching not only muscles and tendons but also toes. The reviewer also states that he feels much better since he got the rocker and that he highly recommends it. Another happy user mentions that this bottom rocker shoe is so small that he can fit it in his gym bag and carry it wherever he goes. The buyer also states that this is an excellent choice for targeted stretching and that he would gladly buy another one.However, some customers have complained that the adjustable pieces come off very easily, even mid-stretching. Some also note that it’s hard to use the rocker and that it broke after a couple of days.